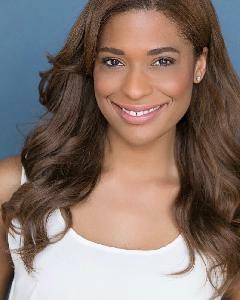 Actress-writer-comedian Kimrie Lewis is a Los Angeles native and 3rd grade spelling be champ. Kimrie stars in the new comedy Single Parents Wednesdays at 9:30p on ABC. For five seasons, she played Reporter Ashley on ABC's Scandal. Kimrie has made numerous TV guest appearances, including: Superstore (NBC), 2 Broke Girls (CBS), The Mindy Project (HULU), New Girl (FOX), Raven´s Home (Disney) and Brockmire (IFC). She also writes for Kevin Hart´s LOL Network new comedy series, The Donors. This fall, she'll be in #2MinutesofFame with Katt Williams and Jay Pharoah. She graduated from New York University and has performed at NY Comedy Festival, NXNE Comedy Festival and San Diego IndieFest. Kimrie performs stand up comedy at colleges and private events across the country. Stalk her on social media @iAmKimrie Kimrie.com.